Corruption is a serious social problem that Nepalese are facing. Corruption is defined as dishonesty, immoral and illegal behavior by people in positions of authority or power making money in a dishonest way. Embezzling money in public funds is corruption. It is also corruption to adopt an incompetent person to a post. Similarly using influence over others for getting something done is called corruption. Corruption is rampant in our country. It is evident from the report of the Transparency International, an international non-governmental organization. Every year it publishes the corruption perception (CPI) about the situation of corruption in different countries. The index ranges from 0 to 10. Number 5 is the midpoint. The corruption of some countries is shown in the above table. The countries with figures above 5 have a low level of corruption. The corruption in those countries is not a serious matter. But the countries with the figures below 5 have high-level corruption. There is it a problem. They should fight corruption and try to abolish it. According to the above figures of 2010 AD, New Zealand has had least corruption. The country having most corruption was Haiti. In the context of Nepal, the corruption level is high. According to a national survey of 2004 AD, Nepal's first problem is corruption and the second problem is unemployment. Similarly, Denmark, Finland, and Singapore were other countries among the top- fives. Nepal was ranked in the 154th in the list. Its index remained 2.2 in both years. But its rank went down from 146th to 154th means corruption in Nepal is still going up, not falling down. There is a lack of rule and law in Nepal. There is not transparency in the work of government. There is a lack of political stability. There is alack of adequate public awareness. There is a lack of accountability and responsibility. Employees do not get adequate salaries to maintain their families. There is a strong and powerful network of the corrupt people. There is no appreciation for honesty and punishment for misdeeds. Ordinary people having little confidence in the administration. People have to pay undue money for legal work. Poor people do not get justice. Economic and social progress stops. Benefits of development do not reach the people for whom they are meant. Dissatisfaction grows in people and sometimes they take part of struggle. Good governance and political commitment: Good governance is an effective remedy for controlling corruption. At the same time those who are involved in corruption must be punished. Avoidance of luxuries: The habit of using luxurious goods should not be formed. They are very expensive. This habit leads to corruption. Simple living and high thinking is the best life style. There is no need of corruption in such case. Publicity and awareness: Press and electronic media should boldly publicize the activities of the corrupts. Awareness should be created among the common people not give anyone bribe. Social boycott of the corrupt people: Everyone whether politician, official, businessman or anyone else if found corrupt should be socially boycotted. Transparency: There should be transparency in the government and non- government offices and all the other organizations. They should show the sources of income and expenditure to the people. Good governance, accountability, transparency and effective rules and regulations. Strict law, rulers and monitoring. Civil society, media have to work in case of corruption should be brought into public. Proven Corrupted officials, people should be socially boycotted. Corruption is defined as dishonesty, immoral and illegal behavior by people in positions of authority or power Making money in a dishonest way is corruption. Some Causes of corruption are there is lack of rule and law in Nepal, there is not transparency in the work of government, there is lack of political stability, there is lack of adequate public awareness, there is lack of accountability and responsibility, employees do not get adequate salaries to maintain their families, there is strong and powerful network of the corrupt people and there is no appreciation for honesty and punishment for misdeeds. New Zealand had least corruption. Corruption is the main problem of Nepal. Write any one social problem and mention a solution it in your society. The major social problem that prevails in my society is corruption. The problem can be solved through the strict implementation of law and increasing the salary and facilities of professionals. Justify with four examples that the basis of minimization of corruption is information. 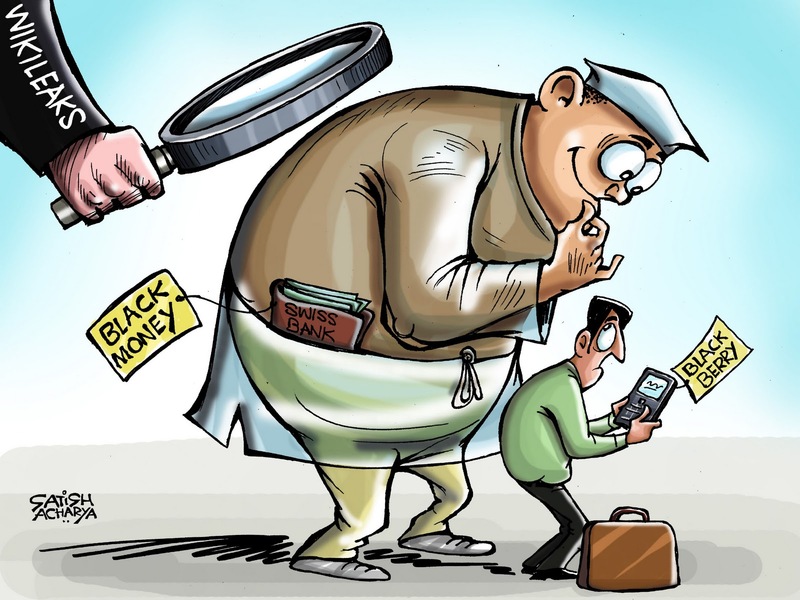 The information helps to find out the activities related with corruption. The true and reliable information is the proof to find out the corrupt person. The information of witness plays very important role to control corruption and find out the activities related with corrupt and corruption. The information disseminated through the medias, builds up public awareness against corruptions etc. 'A stakeholder and responsible person accepts'- 'corruption is about to engulf the nation.' Present your response in four points to the statement. Corruption is an act of not performing the functions which are to be performed according the existing laws and orders and doing the activities which are not to be done according the existing laws and orders. Corruption is going against the norms of the post and abuse of power and authority. Bribery, favoritism, nepotism, economic irregularity, hiding the proof, verdict against the innocent using the public property for personal use are some of the examples of corruption. Corruption control is a great challenge in Nepal, most of the government formed in Nepal cannot function well because of widespread corruption. Corruption is ever challenging problem of our country. Corruption effects the fair distribution of resources and opportunities negatively. There is lack of good governance and rule of law. There is lack of transparency. There is Commission for Investigation of Abuse of Authority (CIAA) working as a constitutional body to control corruption but corruption is increasing in spite of this rather decreasing. What do you think are the reasons behind it? There is lack of political commitment to stop corruption. Transparency is lacking in various governmental and non-governmental offices and organizations. Corrupted people are not punished properly. Awareness about corruption is still lacking. Commercialization in education and health sector is increasing. 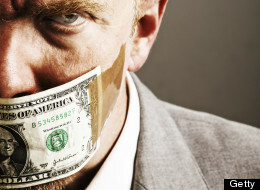 What should we do to control corruption? Good governance and political commitment: To control corruption good governance is needed and political leaders should be committed to control corruption. Transparency: The function and budget of governmental and non-governmental offices and organizations should be made transparent to all the people. Boycott the corrupted: All the corrupted people whether politician, civil servant, businessman or anyone should be boycotted from the society. Media campaign: The media should make people aware of corruption as a stigma for society. They should publish materials encouraging people to go against corruption. End of commercialization in education and health services: Corruption increases if people have to pay too much for basic need like education and health. So, commercialization in such sector should be stopped. Give up luxurious life style: Luxurious life style of people has given rise to corruption. So such life style should be given up and simple genuine life style should be encouraged. 'Corruption is a complex problem of society.' Do the activities made by government are effective or not? Write your opinion. Yes, it's true that corruption is a complex problem of big society. Our government is trying its level best to control this problem but it has not been in its grip. It proves that the activities carried out by the government to solve this problem have not been effective. Government has made strict law against corruption but it has not been implemented rigidly. The corrupted people have taken law to their hands and have weekend it. They are above law. This is because of their affinity with the people in power and money. Secondly, the process-oriented administration of our nation is supporting factor for network or corruption. 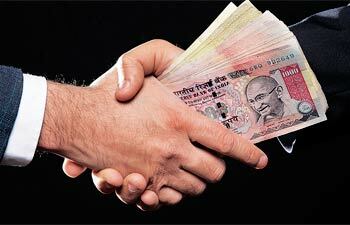 The administrative process is lengthy which compels people for giving bribe or taking it. The cross check principle has not been followed timely. And finally, government is failing to control the price hike and address the employer's problem. The salary and facilities provide to the bureaucrats is minimal which is costing corruption indirectly. What is Corruption Perception Index score of Finland? What is Corruption Perception Index score of Norway? What is Corruption Perception Index score of Spain? nepotism and favouritism is also considered as corruption.why? corruption is a complex problem of our society.justify it. what do you think either need or greed that increases corruption in nepal? What does zero tolerance against corruption mean? Any Questions on 'Corruption '?